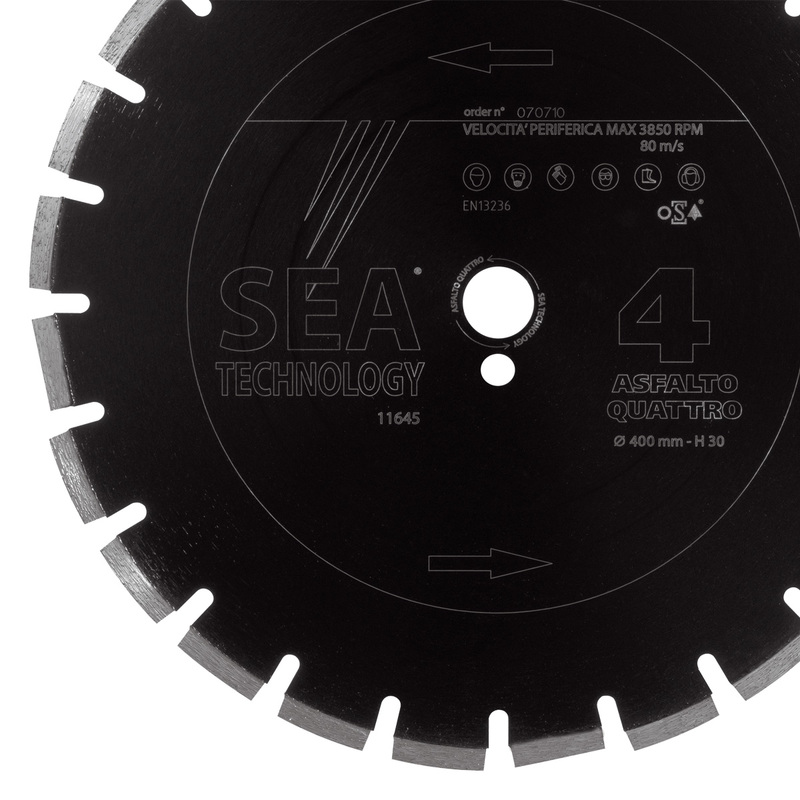 ASFALTO QUATTRO is the diamond blade from the range for use on machines with power over 13 HP. All of our asphalt blade have been designed with long, large clearance in order to improve the exit of excess material, the penetration speed and cooling. The protection of the steel body of the disc is made with oblique segments.